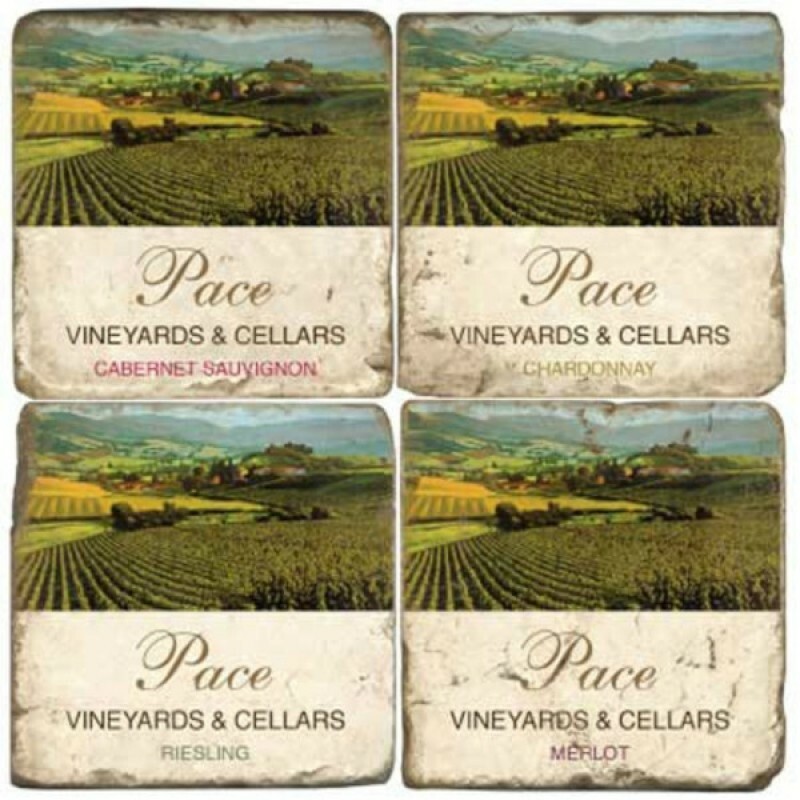 Personalized Vineyards Marble Coasters (P/N C584 - Vineyards). 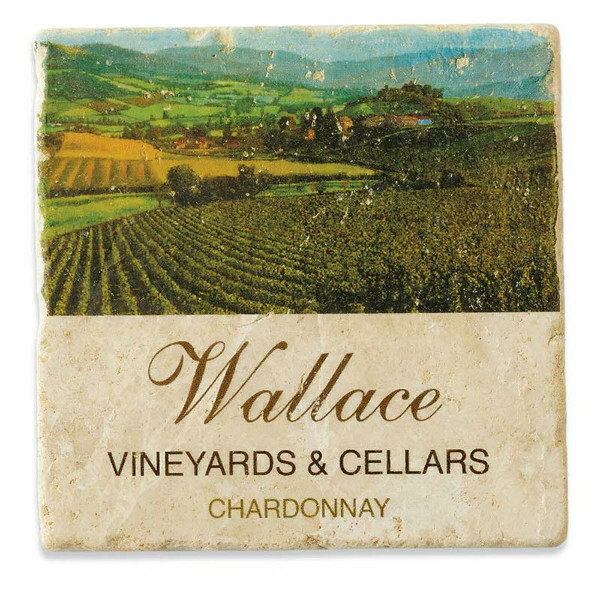 Made from Botticino marble quarried in Northern Italy, near Verona, our personalized, tumbled, hand-printed coasters beautifully display your love of wine. Each coaster is cork backed to help protect your furniture from unwanted drips and liquid rings. The marble on these coasters has been naturally distressed, for a unique edging that may include chips and rounded corners. The printing has an antiqued finish, giving the coaster an aged look. Specify the exact name (up to 15 characters). 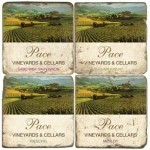 The word Vineyards and the varietal are included on each coaster. 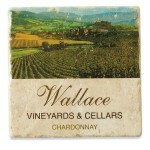 Show off your love of the grape with our new personalized marble coasters.